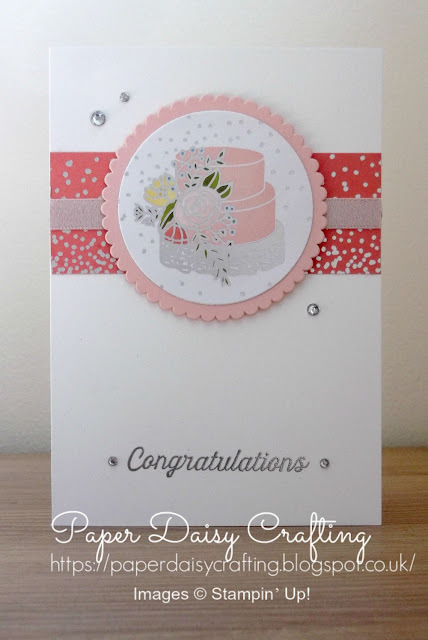 Paper Daisy Crafting: Wedding card with Sweet Soiree from Stampin' Up! 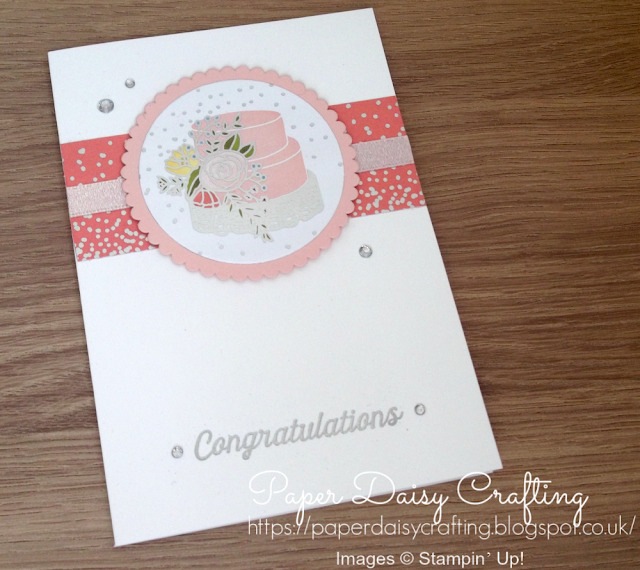 Wedding card with Sweet Soiree from Stampin' Up! We are hurtling very quickly now towards the end of May when many of the lovely products in our current catalogue will be retiring and disappearing forever. I have suddenly become aware that I have so many patterned papers (or DSP as we Stampin' Up! aficionados call them!) which will be going and so I recently spent a lovely afternoon coming up with a few cards using the gorgeous Sweet Soiree papers. This card uses one of the images from one of the sheets of foiled papers and makes a very simple, quick and easy card which is nevertheless quite stylish and classy. I've made a video tutorial, showing you exactly how I made my card which you can view HERE or by clicking on the image below. Hope you like this pretty card. I'll be back over the next few days to show you some of the other "Sweet Soiree" cards I made.